It's really hard to believe another year has already come and gone. Humzoo had an awesome year in 2009 and we hope to have an ever better one this year. With your help we knows it's possible. To start the New Year off right we have reduced the price of the Humdinger account for new accounts and upgrades only, for a limited time. 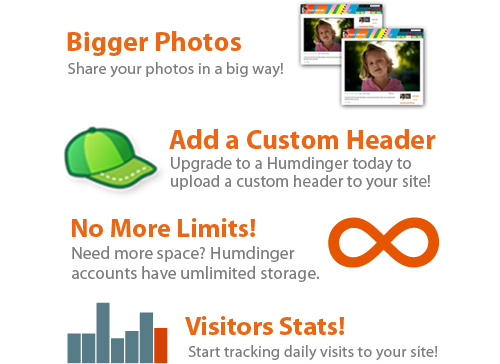 Between now and the end of the weekend you can upgrade to a Humdinger account for only $20! This offer is only available for new and free account upgrades. We're very excited about what 2010 will bring! 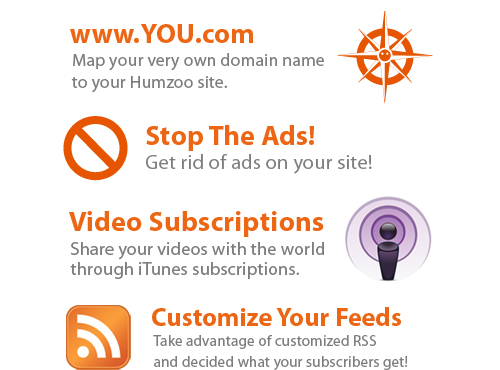 Thanks for your support and feedback -- your input makes Humzoo what it is. YAY!!!!! Soon, I hope. Soon.